The latest tweet from evleaks reveals the ZTE Grand X Pro and while there is a nice picture of the device, the tweet doesn't include any specs or information related to the device. What we can see from the photo is that the screen has a stunning edge-to-edge look that seems to be the result of a serious diet by Mr. Thickbezel. Like the ZTE Grand X, the ZTE Grand X Pro looks to be running nearly stock Ice Cream Sandwich with the only difference being the lack of capacitive buttons like you will find on the older model. 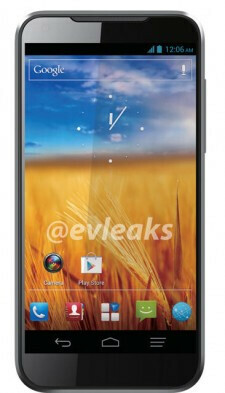 In other words, the ZTE Grand X Pro will apparently run Android 4.0 the way nature Google intended. Hopefully another leak will appear, this time with all of that geeky info like pixel density, processor speed, battery capacity, price and availability. Gotta say that we're definitely digging that skinny bezel on the screen, how about you? Hopefully it's a 4.5" 720P display. An edge to edge display on a 4.5" screen would be sweet. I'm assuming S4 processor and very cheap. Just the way ZTE likes it. Actually, that's one of the better looking phones I have seen in quite a while. With a 720 screen and S4, I would consider it in a heartbeat. Not to mention, AOSP. Score one for ZTE. It just needs CDMA/LTE bands/modems on VZW.......Not that it's going to happen. 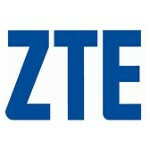 VZW has picked up a few ZTE phones. It might happen. I'm hoping for tmobile though. I'm leaving VZW. I just don't use cell service enough to care about quality. I use my phone a lot but mostly on wi-fi. I also live in areas that get great reception no matter the carrier. I'd rather the save money and put it towards something I'll actually use. This doesn't look very AOSP... look at the custom phone and contact buttons, as well as the app drawer. There's at least a theme skin on it. he's leaving because verizon is overpriced and going to a better carrier with UNLIMITED data and a cheaper bill. Plus Verizon is the slowest carrier to update phones great customer service but bad customer care. An for your LTE rebuttal HSPA+ is faster in some areas and has a larger 4g footprint then verizon. Sure Tmobile is going to LTE but their current 4G and Prices can't be beat. I don't need best. I need cheap. Of all my data usage, 95% is on wifi. Whether I'm at home or at school or work, wifi is way better than most 4G/3G speeds and ping. I'd rather get my moneys worth. i dont really like on screen navagation.. i prefer capacitive buttons...i really like the gesture base of the playbook...even n the iPad.... on screen ruin the whole gesture experience for me... and you'll not get the REAL size of the device... for example if this is 4.5" screen, you'll only get 4.4" coz of that on screen navatation... so yeah..just my opinion! one plus to that. ..just my opinion too. and the capacitive buttons look much better than the stock android soft buttons. seriously google has to make some of their icons and screens look better. It is strange to type these words... I am fairly impressed with what ZTE is prepping. There were some interesting WP devices rumored, and this is a fun looking Android. I am loving the near stock ICS, and the phone itself is decent. They got me interested. Weird right? The ZTE flash is looking pretty good too. I'm hoping ZTE, Pantech, and Huawei all start stepping up their game and give some more competition to Samsung/HTC/Motorola. Erm.. that display doesn't reach to the edge. I always get excited when I see an article title describing an edge-to-edge device, and I'm always disappointed by it not being edge-to-edge.